In response to the question about what practices contribute to the climate, in the previous article “Coordination and collective action to mitigate climate change” we listed the recommendations laid out by different studies and organizations for forestry and agriculture. Then we pondered the implementation within the coordination between science, conservation and economics through the case of the Galapagos Islands of Ecuador. Now we will study the CamBIO project (Central American Markets for Biodiversity) within this same framework. 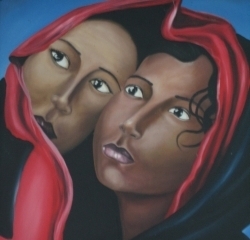 This project (2007-2013) was a tripartite GEF initiative (Global Environment Fund)-UNDP United Nations Program for Development with the financial support of the GEF (Global Environmental Facility), and the CABEI (Central American Bank for Economic Integration). 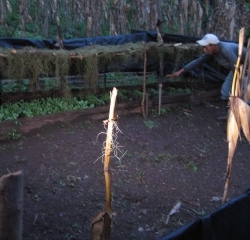 This project sought to ”ensure that the micro, small and medium enterprises of Central America increase their contribution to sustainable development and environmental protection, incorporating biodiversity in their businesses, products and services” (http://www.bcie.org/spanish/banca-inversion-desarrollo/desarrollo-competitividad/cambio.php). 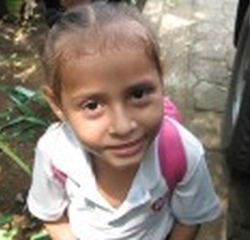 This project was implemented by CABEI through intermediary financial institutions (IFIs) in Honduras, Nicaragua, Costa Rica, Guatemala and El Salvador. In Nicaragua CABEI worked with the LDF (Local Development Fund), Lafise-Bancentro, the 20th of May Cooperative and FUNDESER. According to the report of the UNDP-GEF-CABEI 2011 the most innovative case was that done by the LDF and the Research and Development Institute, Nitlapan in Nicaragua. As such, this case was systematized among the most innovative experiences of Latin America (see: Mendoza, Dávila, Fonseca y Cheaz, 2011, “Modelo de Adaptación al Cambio Climático a través de la Reconversión Productiva y transformación territorial, Proyecto CAMBio en Nicaragua”, en RIMISP, http://www.rimisp.org/wp-content/files_mf/1365017537sistcambio.pdf). The LDF and Nitlapan promoted four systems: silvo-pastoral, agroforestry, sustainable tourism and sustainable wood system in 22 municipalities in the buffer zones of interconnected protected areas: San Cristóbal, Tisay, Quiabú, Miraflores, Cerro Yalí, Kilambé, Peñas Blancas, Bosawás; Cerro Colorado, Quiragua, Musún; Juan Venado, Casitas; La Flor, Mombacho, Guatusos, and Indio Maiz. The rules were: the LDF provided credit to its best clients, and Nitlapan provided them with technical assistance; a contract was signed with the producer who chose a system (e.g. silvo-pastoral system) and chose an indicator (e.g. “establish native trees on pasture lands”, “riverbank forests”, “native foraging bushes” or “living fences with native species”). Then they defined the area to be reforested in a year, and at the end of the year CABEI would verify whether the producer complied. If he did, the producer paid only 86% of the amount of the loan, with the policies on term and interest rates remaining the same. This compliance enabled the LDF to claim 6% of the loan given to that producer, and Nitlapan 10% of the amount lent in the portfolio to cover the costs of technical assistance. The sun moves, and also can keep us from seeing the most important stars in the CamBIO project: the collective action. Part of it comes from the coordination between financial institutions (LDF, CABEI), technical assistance (NITLAPAN) and production (producer families), within a framework of incentives contributing to environmental and economic sustainability, but this is not enough. Another part of the collective action is left truncated, because of the need for science and collaboration with local organizations. The limited research that there was came from other organizations; it was assumed that those who are doing credit and technical assistance “already knew” the reality. Forcella (2012, Payments for Environmental Services and Microﬁnance: Proyecto Cambio in Nicaragua, Belgium), studying the project, found that the largest clients with the most cattle tended to invest the difference of the credit more in activities at odds with the environment (purchase of cattle, pastureland without trees, …), while the smaller ones tended to invest the different of the loan more in environmentally friendly activities (shaded cacao and coffee, etc. ), which in addition shows that places and organizations are political arenas, that no policy is implemented as planned. The project ignored the local organizations, under the assumption that the producers are isolated individuals, thus losing opportunities to multiply the positive externalities, and undermining in part the sustainability of the project post-2013. This mutual exclusion between institutions that provide services and local organizations tends to be a common pattern, likewise the execution of projects without research. The country lost the opportunity to see more stars, and maybe more interesting stars. In conclusion: the synergy between ecological, economic and scientific communities within an institutional framework of coordination with incentives is a key path for reducing the crisis of climate change. Science makes a difference, but in CamBIO, CABEI-UNDP-GEF they fell into the mistake of other projects, not studying their own experiences in the region in a comparative manner. Rather they adhered to the custom of providing resources and forgetting about the impact of their actions. The participation of local organizations is essential in any measure to reduce the crisis of climate change; if the local organization is weak and “coopt able”, it has to be strengthened, so that it might be an autonomous counterpart and capable of negotiating, representing the interests of the families. The individual farm is not the motor of change, but the entire local and global infrastructure. Instead of believing that “more market is better for the environment” and “there are only trees in the forest”, we should turn our attention to the reality of the country: there are more trees on farms than in protected areas! The ones who can contribute more to the climate are the small producers! 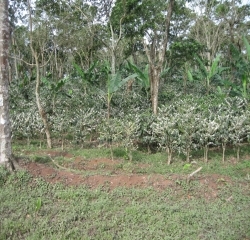 A producer of San José del Bocay said: “If I take care of a tree from the time it was planted, I will think twice before cutting it down.” If we recognize this, if the financial institutions and technical service organizations expand on these capacities, if the state and the international organizations support this infrastructure, we would understand that the success of the entire chain of institutions passes through the success of the producer families, who, with social, economic and political incentives, can think 10 years ahead and plant a tree, and can think 100 years ahead and take care of that tree. That would make a difference.